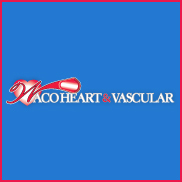 Located near Interstate 84 and Highway 6, Waco Heart and Vascular provides treatment of heart and blood vessels associated diseases and disorders. Our experienced doctors and staff specialize in cardiology care, health, protection and prevention and are committed to quality and compassionate medical practice. Services includes: Angiography; Percutaneous Coronary Intervention; Peripheral Vascular Disease Screening; Nuclear Cardiology; Echocardiography, Transesophageal Echocardiography and EKG/Electrocardiography; Holter and Event Monitoring; Advanced Lipid Screening; Exercise Stress Test and Ultrasounds. Waco native Dr. Phillip Myatt is a graduate of Waco High School (1998) and Baylor University (2002 ), receiving his medical degree is from Texas Tech School of Medicine in 2006. Since 2009, Myatt has cared for cardio patients in Waco at McLennan County Hospitalist Services and Veterans Administration. He is board certified in internal medicine, cardiovascular disease and interventional cardiology by the American Board of Internal Medicine. Also at Waco Heart and Vascular is Dr. Jeremiah Havins and Nurse Practitioner Dana D. Ermis. Havins specializes in the treatment of cardiovascular problems, including coronary artery disease, arrhythmias, peripheral artery and vein disease. He is board certified in Interventional Cardiology and Vascular disease and Internal Medicine. Ermis specializes in patient care, including hospital interventions, device implantations, cardiac risk factor modifications and medication management. She is a member of the American Association of Nurse Practitioners, Emergency Nursing Association and the American Association of Critical Care Nurses.